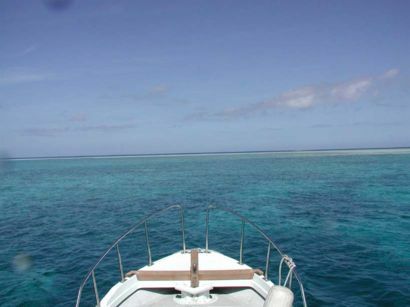 Yabiji is a large area of a lot of coral reefs. It is located 8-20km of north of Miyako jima. It takes about 20 to 40 minutes by boat from Ikema Is. where is north of Miyako Is. It is 12 km from north to south and 8 km from east to west. A lot of the coral reefs appear on the surface of the sea at the lowest tide at spring to summer.